Newsflash! : Awesome Show of Awesomeness! Oh hey, y'all. I've missed your smiling faces terribly while I've been off galavanting across this great country of ours for the past few weeks. 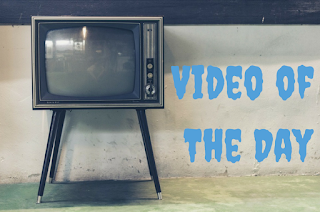 I've finally found some functional internets at the beach (it's been surprisingly challenging) and am thrilled to be able to share with you your plans for this coming Thursday evening. The added bonus? You'll be spending time with me! 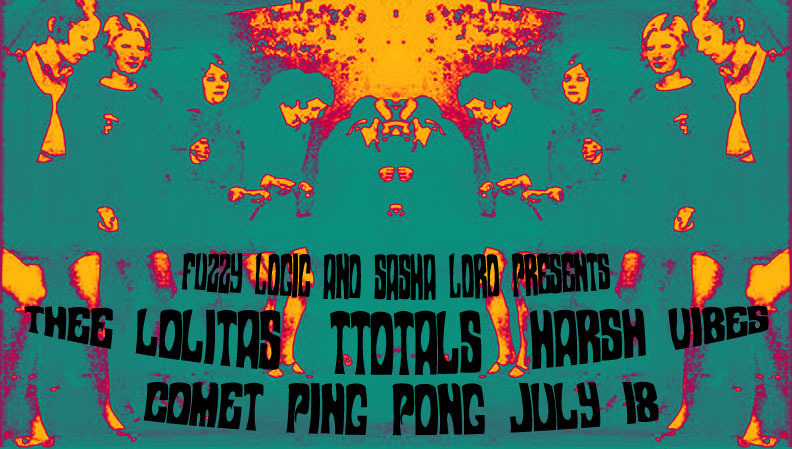 The kind folks at Comet Ping Pong are once again playing host to a Fuzzily-sponsored event. Festivities are to start at 9 in the evening, and for the price of admission you will receive sets by not one, not two, nay THREE tremendously awesome musical acts. If you like noise, there's pretty much not a spot in the greater DC metro area you should be heading to Thursday evening other than Comet Ping Pong. 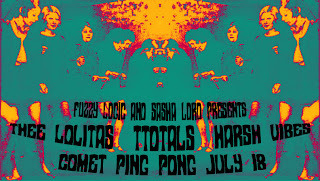 Fuzzy friends Thee Lolitas (DC) and Ttotals (Nashville) sandwich killer Philly outfit Harsh Vibes for what promises to be an epic night of towering, overpoweringly amazing cosmic psych rock and roll decadence. As an added bonus, the wonderful and talented Paul Vodra from Hometown Sounds will be spinning some tunes between sets, to offer you the utmost entertainment value for your dollar. Official event pages are hither and hither. RSVP as you see fit, and make sure to tell all your friends, acquaintances, and family members. The show is all ages, so bring in the young folks in need of a musical edumacation, too. Kisses to all, and we'll see you soon!